You know when someone says they remodeled and you show up expecting to see a fresh coat of paint and a new rocker chair from Ikea, but instead find a new kitchen, hardwood floors instead of shag carpet, and a bathroom with a heated floor that's been enlarged to take up that old spare bedroom? That's kind of what it feels like when you first get your hands on iOS 7. Not all remodeling efforts turn out well, but luckily that's not the case here. Apple did a bang-up job with the changes and new features in its latest iPhone, iPad, and iPod touch operating system. More importantly, it was well worth the wait. iOS 7 does away with the skeuomorphic embellishments that dominated major parts of the iPhone, iPad and iPod touch look and feel. The faux leather and stitched look is gone and in its place is flat-flat-flat. To be clear: iOS 7 icons and interface elements look flat, use basic colors and look far more simple when compared to iOS 6. The change is pretty radical and at the same time everything still looks familiar. Not everyone will like the change, but that's to be expected. 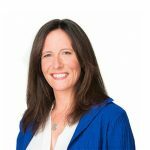 Change is uncomfortable for some people, and there's plenty of visual change here. Along with the flat look and almost comic book color scheme, buttons in Apple's iOS interface and updated apps don't look very much like buttons at all. Instead, they tend to be words or icons without any telltale borders we expect to help us know what is a button. The glaring exception to that rule is Control Center -- and that's a little foreshadowing for you. We'll dive into Control Center shortly. I've heard complaints about Apple's color choices in apps and for icons. "Too cartoony," they say, and I will concede that iOS 7's icons do have a simple look that can come across as cartoony. That said, I'm fine with the overall look of iOS 7. My approval for iOS 7's look comes with one big disappointment: The green color Apple chose for its communication apps -- Phone, Messages, and FaceTime -- is a painful neon green. I can only assume that whoever approved it is colorblind and simply didn't realize, or the color was chosen specifically so it's easy to see even if you are colorblind. Either way, I'm not, and it flat-out hurts my eyes. Apple chose to go with a thinner typeface for onscreen elements such as the date and time, and app names. It has a clean look and is usually easy to read. If the font has you thinking, "Gee, that looks a lot like some of the Android phones I've seen," well... yep. It's generally easier to read and has a fresh, clean look. It was only a matter of time before Apple adopted similar typefaces. Waking up your iOS device brings a nice yet subtle change by fading in the display instead of jumping from off to full brightness. It's a little thing that most people won't notice, but it's a detail that you can appreciate once you know it's there. 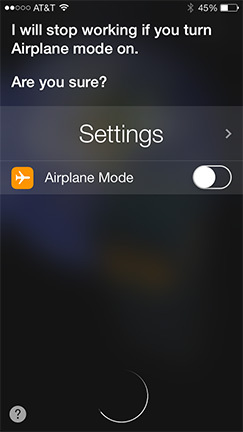 iPhone fans and foes have been happy to bag on Apple for years because iOS hasn't included a centralized interface for controlling common tasks like enabling airplane mode, turning on or off screen rotation lock, selecting WiFi networks, and controlling music playback. Thanks to the introduction of Control Center, that all changes. 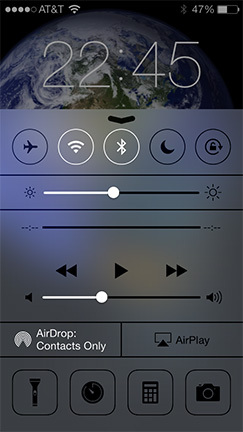 A swipe up from the bottom of your iPhone, iPad, or iPod touch display brings up Control Center where you can, well, control all of those settings, access the Clock, Calculator, and Camera, as well as the flashlight. By the way, iOS 7 includes a built-in flashlight app. That has to make about 700 app developers very unhappy because Apple pretty much just killed the flashlight app market. I have a love/hate relationship with Control Center: I love it because so many settings and features that required a ridiculous number of taps to find are just a single swipe away. I hate it because that single swipe is horribly finicky and I typically have to try several times before I get it just right. Where Notification Center was a welcome addition to iOS 6, it's a very welcome upgrade in iOS 7. Instead of simply showing a list of notifications from apps, it now shows much more like your schedule for the day, the current weather forecast, and tasks. You can show content just for today, all notification center alerts, or just what you missed. With so much available such as the ability to customize just what you see, and Today, All and Missed views, Notification Center is now a truly useful feature. You can access it just as you did in iOS 6 by swiping down from the top of your display. 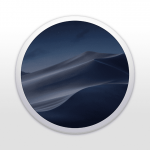 Features like Control Center and the updated Notification Center do have an Android feel, and no doubt you'll hear your Android-loving friends comment about how Apple copied their favorite phone's features, and it's about time the iPhone caught up. Yes, it is about time iOS caught up, but the feature theft didn't really come from Android; it came from the jailbreak community -- and that's exactly where those same features in Android were copied. 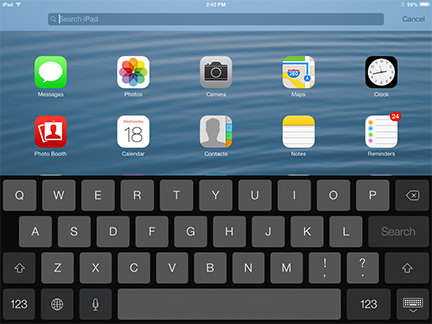 The downward swipe gesture has a second use in iOS 7: It's how you invoke system-wide searches. Just swipe down from the middle of the Home screen, or any of the other screens loaded with your app icons, to show the search field. The great thing about the new search gesture is that you don't have to first go to your primary Home screen and then swipe left to right. The bad thing is that if you swipe from the very top of the screen you pull down the Notification Center view. That won't be a big deal for most people, but it does show that Apple is now embracing subtle differences in not only how you swipe, but where you swipe. Despite needing to know where to swipe on your screen, the new search gesture is wonderfully convenient and will save you tons of gesture movements. I'm all about economy of motion in iOS, so I'm especially happy that Apple is seriously looking at ways to improve our efficiency. Apple finally addressed multitasking in a real way with iOS 7. Instead of basically queuing up apps so they can sequentially take turns chewing up your processor and battery, iOS 7 actually looks at what your apps are doing and adjusts to balance out processor usage time. It also learns your routine and habits so it can more efficiently handle background content updates, and prioritizes app activities based on whether or not you have WiFi access or not. That change means apps run more efficiently, your system seems snappier, and ultimately your battery life improves. You can also control which apps get to refresh in the background in the Settings app so you can stop apps from doing their thing in the background if you like. App switching on the iPhone still involves a quick double-tap on the Home button. 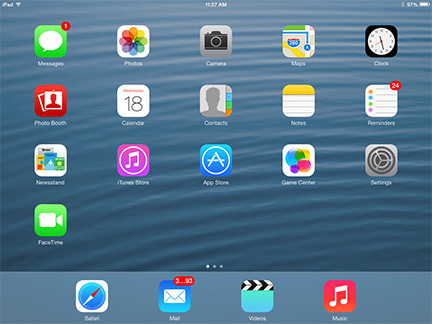 On the iPad and iPad mini you can also four-finger-swipe up from the bottom of the screen. Now, along with app icons, you see a slick preview thumbnail of each app's screen. Tapping an app icon, or its preview screen, makes it the active app. A quick flick up quits the app. That flick gesture is another example of Apple addressing economy of motion because quitting an app previously involved bringing up the app switcher view, a tap-and-hold on an app icon to make them all jiggle, and then tapping the No Entry button attached to the icon for the app you want to quit. That was a painful process, and good riddance. Ever since Apple opened the App Store we've had to deal with the tedious process of checking for and installing app updates, and finding the apps you want to download can be a real headache, too. For the apps you've already installed, Apple is making it easier to stay up to date with its automatic update feature. You can turn the feature on or off in the iTunes & App Store settings so you can still choose to download updates individually. Why wouldn't you want to autoupdate all the time, I hear you ask. Let's say you're using an app that you need to keep frozen at a specific version, disabling autoupdates lets you manually update your other apps while leaving the one that should update alone. Autoupdate has been working for me just as it should, and has been a godsend in the last couple days leading up to iOS 7's release. 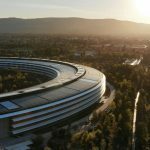 Developers have been working as hard as they can to get their updates out in time, and it seems like nearly everything installed on my iPhone and iPad have been updated at a fast and furious pace. Hunting for apps that might be useful to you has been an act in frustration, especially since the App Store has grown to include hundreds of thousands of apps. Apple's search system still leaves a lot to be desired, but it does have a very interesting new feature called Apps Near Me. With Apps Near Me, you can see a list of apps other people near you have on their iPhone, iPad, or iPod touch, which has the potential to be a great discovery tool. I'm really looking forward to seeing what shows up for me as I cruise around the next Macworld/iWorld. Apps Near Me is an opt-in feature. The first time you tap the little location icon at the bottom of the App Store app, you're presented with a screen that lets you decide whether or not you want to share your app list publicly. If you choose not to, what's installed on your device stays private. Siri, Apple's voice recognition system, grows up in iOS 7. Siri now has more natural sounding voices, and finally graduated from beta status. Siri gained several more data access points, like Twitter and Wikipedia, and can handle more tasks than before, too. Along with the usual "What's the weather," and "What's my schedule" type requests, Siri can now process tasks like playing voicemail messages, showing Twitter posts, returning phone calls, enabling or disabling functions like Airplane Mode, Posting to Facebook, booking tables in restaurants, and more. Siri is bringing the iPad so much closer to Apple's Knowledge Navigator concept, and that's very cool. The new voices do sound more natural, and you can choose between female and male in system settings. When I asked Siri to change from the default U.S. female voice to male, she told me I have to do that myself. I responded by saying, "Open your settings," and that's exactly what happened. Well done, Siri, although I was surprised that I couldn't change the setting with spoken commands. Including female and male voice options is nice because not everyone can clearly understand the default voice, and if more than one iOS device lives in your house the extra voice option makes it easier to know which is talking to you. I still find the female voice easier to understand, although the male voice was much clearer than I expected. Siri handled nearly every command I tossed her way, and was still very successful and understanding me when music was playing nearby and other background sounds were loud enough to cause her iOS 6 counterpart to falter. Apple finally, finally, addressed the deplorable file exchange system for iOS device users with the launch of iOS 7. AirDrop lets you send and receive photos, documents, and contacts with other iOS 7 users on the same network as you or via Bluetooth. You can set AirDrop to accept shared files from everyone, or just people in your Contacts, so it's easy to limit who sends stuff to you. 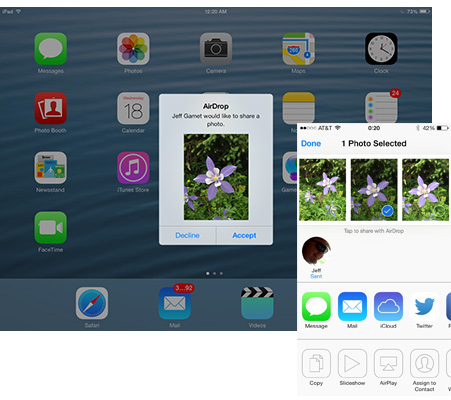 AirDrop lets you share files between iOS devices. Sorry, no Mac support here. AirDrop is surprisingly simple to use; just use the share option for the document, photo, or contact you're currently viewing and AirDrop shows up along with the usual email, SMS, and printing options. Unfortunately, AirDrop doesn't let you transfer files to and from your Mac, at least not yet. For that, check out DeskConnect. It's available for the Mac as well as the iPhone and iPod touch, and is free. Apple revamped the Camera app for iOS 7, and what a welcome change. The app is far more responsive, and that means it launches faster and is quicker to snap and save your photos. From snapping single photos to capturing panorama shots, the Camera app is now much smoother and far more pleasant to use. That responsiveness would be enough to make me happy, but Apple tossed in a few more features, too. Along with photo, video, and panorama features, iOS 7 adds a square image option, plus several filters you can preview in real time. I never really got into the whole filters thing with Instagram because they feel so overused, so please remember: With great power comes great responsibility. Use filters wisely and sparingly. Holding the camera shutter button when you're taking photos activates burst mode. iPhone 5s users get an even better burst mode that captures 10 frames per second, and they also get a slow motion video mode that captures at 120 frames per second. Despite all of the greatness Apple packed into the new Camera app, switching shot modes is a real pain. You swipe above the shutter button, which wasn't as easy as I first expected -- and to contradict what I just said, it's far too easy accidentally switch from photo mode to video mode. I also occasionally ended up with a single photo even though I was shooting HDR with the save original option on. The issue seemed random and no matter what I tried I couldn't reproduce the problem. It just simply happened every now and then all of its own accord. 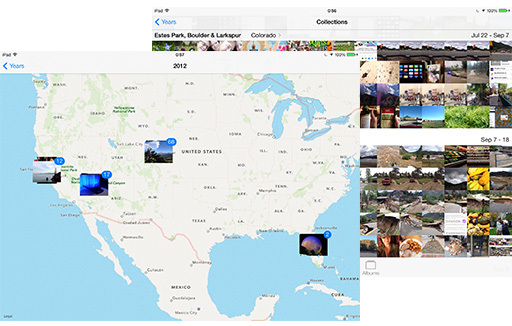 Photos has always been something of a utilitarian app with limited organization features. Large image libraries resulted in lots of scrolling to find just the photo you were looking for, and that constant flicking got old really fast. 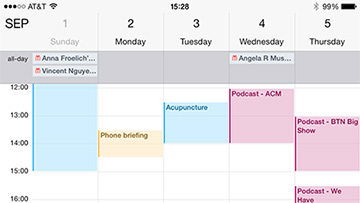 iOS 7 addressed that interface problem by introducing a whole new organizational structure. Photos now groups photos based on time or location, and even though a screen full of thumbnail images seems intimidating at first, it's actually surprisingly easy to scan through and find exactly the shot you're looking for. 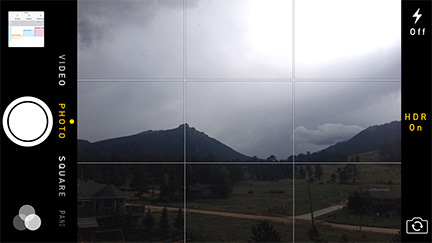 Overlaying image groups on a map makes it easy look at all the photos you've taken in a specific area, and in my case it showed me that I tend to take a lot of photos in the Colorado mountains. You can use iCloud Photo Sharing, too, and Photos makes it easy to add images to your shared photo collection. Navigating my large image library was cumbersome in iOS 6, but is a snap in iOS 7. It doesn't feel like finding exactly the photo I'm after on my iPhone or iPad is a chore any more. 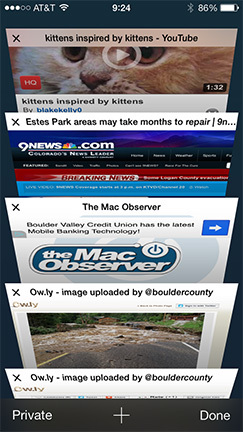 Mobile Safari got a big facelift in iOS 7, especially on the iPhone. The tabbed metaphor is still there when you have multiple Web pages open, but on the iPhone it looks more like a Rolodex with a set of flip cards with previews so you can quickly see the site you're looking for. Safari adopted the unified URL and search bar that's already a feature on the Mac version of the browser, and private browsing is available as an in-app option so you don't have to hop over to the Settings app every time you want to keep whatever you're looking up out of your history. Mobile Safari in iOS 7 feels snappier than before, which in part is because of Apple's code optimization, and also a side effect of having an operating system that's more efficient overall. I haven't ever been a huge Safari fan, but it is nice and works well in iOS 7. Love it or hate it, Apple's Maps is here to stay, and with the release of iOS 7 there may be a few more reasons for you to love it -- or at least like it. Apple has been hard at work improving Maps accuracy ever since it launched as part of iOS 6, which is good news for anyone that relies of the feature to get where they need to go. Maps now includes walking directions, although bike routes are still missing. It also includes a night mode that makes the screen easier to see in the dark without ruining your night vision. It also syncs map bookmarks between your devices, which is handy for tagging places on your iPhone that you want to check out later on your iPad. I tested Maps in what I consider the worst of circumstances: Isolated in Estes Park after a devastating flood and with intermittent cell service. Mountain towns are notorious for having obscure little roads, and without a reliable data signal for my iPhone, that problem can easily be compounded. The result? Maps performed flawlessly for me. I could locate businesses without any problem, and the turn-by-turn navigation instructions were always right. When I intentionally deviated down tiny side roads, Maps quickly updated my route and got me to my destination. Take a look at the Calendar app to get a really good feel for just how far Apple has gone to strip away the skeuomorphic elements in iOS. You won't see faux leather or stitching anywhere, and the interface is so simple now that I doubt Apple's engineers could've stripped any more out and still had a working app, and Contacts is the same. Apple used screen space far more efficiently, navigating through the various views feels more intuitive, and without the clutter from iOS 6, everything is much easier to read. The irony for me is that even though it's been easy for me to like iOS 7, I've had a hard time adapting to the new Calendar look because the change really is that radical. Apple hyped iTunes Radio during its World Wide Developer Conference in June as the best music streaming service around. 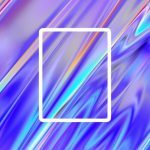 It works much like Pandora in that you can choose artists, songs, or music genres, and iTunes Radio will dutifully play similar songs for you. I didn't find iTunes Radio to be any better or worse than Pandora, and ultimately I don't think it matters. Since iTunes Radio is included with iOS 7, it'll be the go-to choice for many users since they don't need to download any extra apps. If you're interested in learning more about iTunes Radio be sure to check out John Martellaro's review. Which Features Work for Me? Apple is good about keeping legacy devices in the latest OS loop, and that holds true with iOS 7. That doesn't, however, mean that every feature in iOS 7 will work on every compatible device. Since it can be a little daunting sorting out exactly which features will work on your iPhone, iPad, or iPod touch, Bryan Chaffin took the time to sort it all out for you. Check out his fantastic chart detailing which iOS devices support iOS 7's various features. Apple could've made iOS 7 little more than a superficial update that changed the look without really improving anything else, but they didn't. Instead, they popped open the hood and reworked the entire engine, replaced the interior, and then gave us a nice paint job as a bonus. In other words, Apple pretty much gave us a whole new system and still managed to keep everything familiar enough so we wouldn't be completely lost. The line "It's like getting a whole new iPhone" is being tossed around with iOS 7, and it's spot-on. My iPhone 5 and third generation Retina Display iPad immediately felt more responsive, and that didn't fade after several days without restarting. It's isn't exactly tangible, but iOS 7 does feel more polished on the iPhone than the iPad, but don't let that keep you from upgrading. There are a few minor issues that are annoying, like the format selector in the Camera app and the occasional missing image when taking HDR photos, but overall if feels like Apple really thought out how to give us a meaningful upgrade. 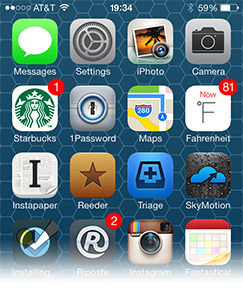 iOS 7 is a refreshing change, and it's clear Apple gets it: Eye candy isn't enough. iOS users want performance. Fast, stable, and responsive with a clean and fresh look. Easy access to settings, schedules and notifications, and many cumbersome tasks are a quick swipe away. No Mac AirDrop support, some interface elements are awkward, iPad version feels like it's missing some polish.